I picked this book up for two reasons. First, because I liked the cover, and second, because of the quote by Neil Gaiman. Yes, I know lots of people who love Robin McKinley’s writing, and yes the blurb looked interesting, but the cover and the blurb were enough to keep me from putting the book back on the shelf after I picked it up. So I put off reading Sunshine, because I was afraid I wouldn't like it. The I was at loose ends and wanted something to read on the PRT, so by virtue of being one of the thinner books in my to read list, and not having a sequel, I picked it up. The semester is almost over. I've got lots of things to do. 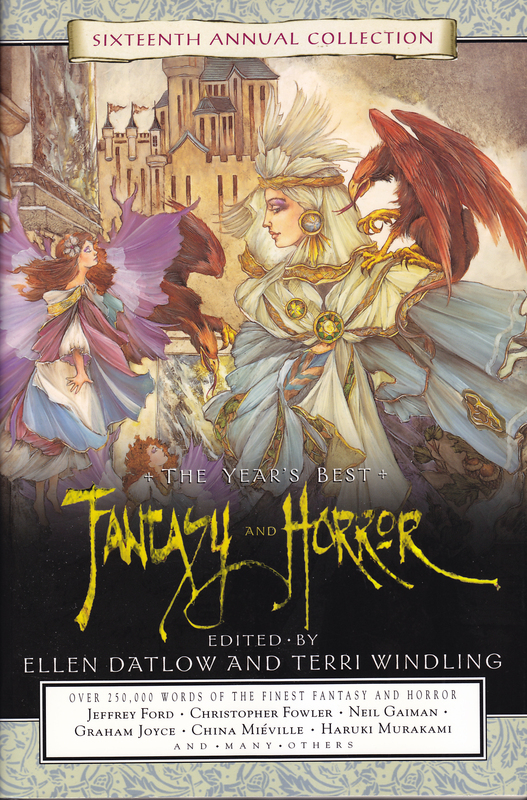 Reading a fantasy novel is NOT one of those things that was on my list of things to do. But. I started Sunshine, and read a few pages while waiting for the PRT, and thought it was interesting. Then suddenly, I was completely sucked in and didn't want to put the book down. It was very good. Not necessarily perfect, but that's okay. Sunshine is a baker in a time and place that are not quite ours. (I had the hardest time initially, thinking that the book was set in a possible future, and not understanding why things were slightly off kilter. Then I realized that it was more of an alternate world to ours, and things were much easier. Don't ask me why, that's just the way I am.) Magic wars have wreaked havoc across the world, although things have somewhat much settled down now, and Sunshine has pretty much dedicated her life to making the world's best cinnamon rolls, and feeding people. As I said, the world building confused me for a bit. But them I usually read books that are either set in worlds obviously not our own, or else in our world where there is hidden magic, but otherwise the world is the same. The whole "similar but not the same" thing threw me for some reason. And yes, this is probably my problem, not a problem of the book. I really liked Sunshine. She is rightfully confused by the events that happened to her, and like any normal person, strikes out in her confusion at those closest to her. It was a very human reaction, and I enjoyed it. I'd wished that some of the other characters had more depth, however, the book was written in first person, and Sunshine was almost completely wrapped up in her problems (and rightfully so), so she wasn't paying much attention to most of the people around here, so for the most part they remained in the background. You just wish, however, that she would have trusted more people. I really would have liked more about Mel, but it seemed that for all that Sunshine loved him, there was so much about him she didn't know. 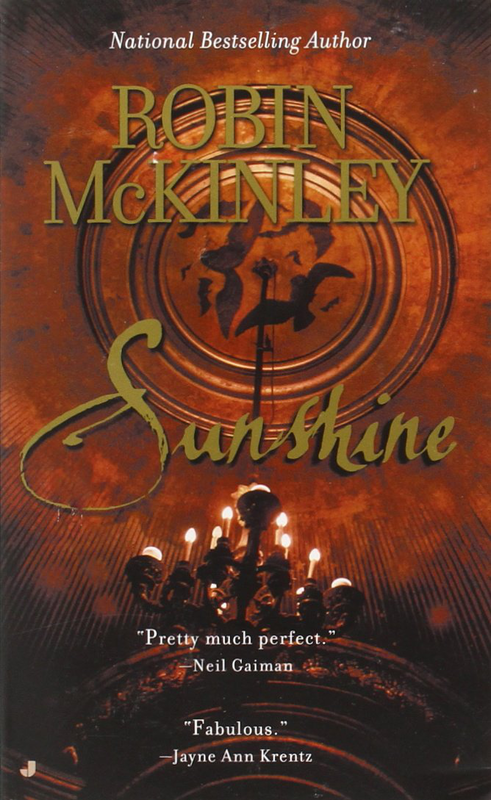 Although this is a single book, and the story arc is completed, Robin McKinley set things up so that she could write other books with Sunshine, if she wanted. There were loose ends that I really would like to know more about--like Sunshine's grandmother and that side of her family. Where did her grandmother go? What happened to her? However, not knowing these things didn't dampen my enjoyment of the book. In life there are loose ends, so it's perfectly okay that we don't know these things. If you're looking for a good book that is not part of a series, I definitely recommend Sunshine.